Ships today if you order in the next 5 hours 48 minutes. 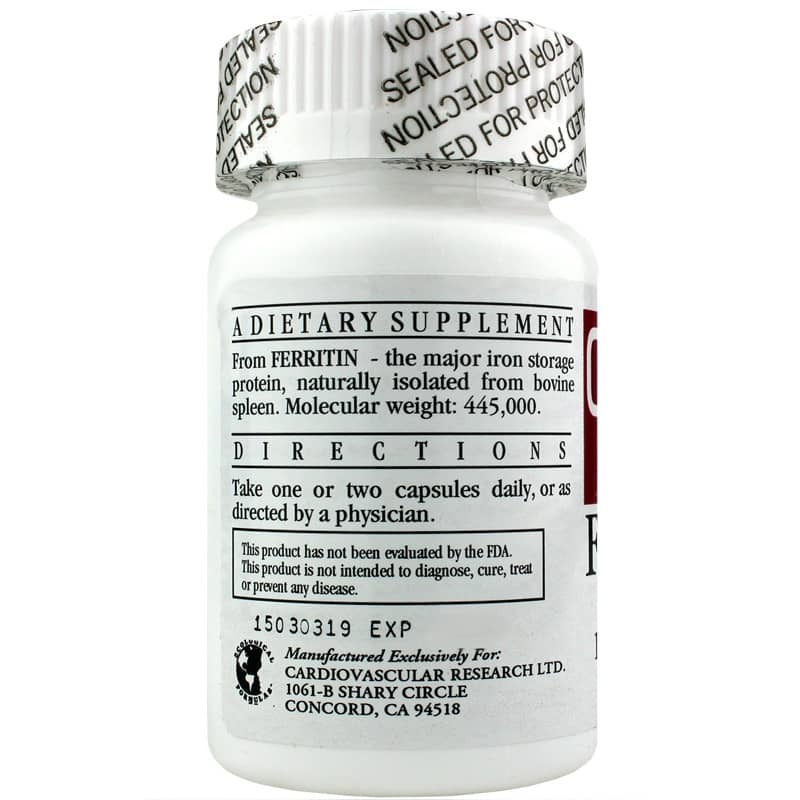 Ferritin from Cardiovascular Research is a dietary supplement containing the major iron storage protein, ferritin, which is used by the human body to help maintain the iron levels in your blood already within the normal range. Ferritin is a blood cell protein that contains iron and is typically found in the liver, spleen, skeletal muscles and in bone marrow. Small traces may also be found in the blood. Ferritin provides a bioavailable, easily absorbed and digested amount of iron, without the usual gastrointestinal side effects. 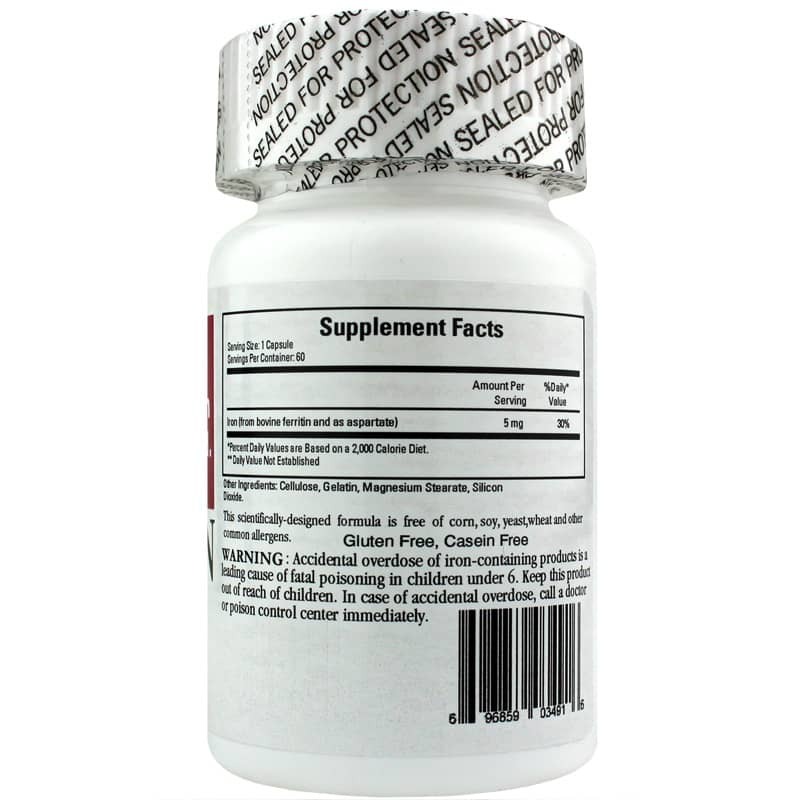 Iron supports the metabolism of proteins and energy production in the body. Free of common allergens such as gluten, casein, corn, soy, yeast and wheat, this formulation is suitable for use by even sensitive individuals. People with an iron deficiency may potentially benefit from taking an iron supplement to help fill nutritional gaps in the diet. Try it for yourself today! 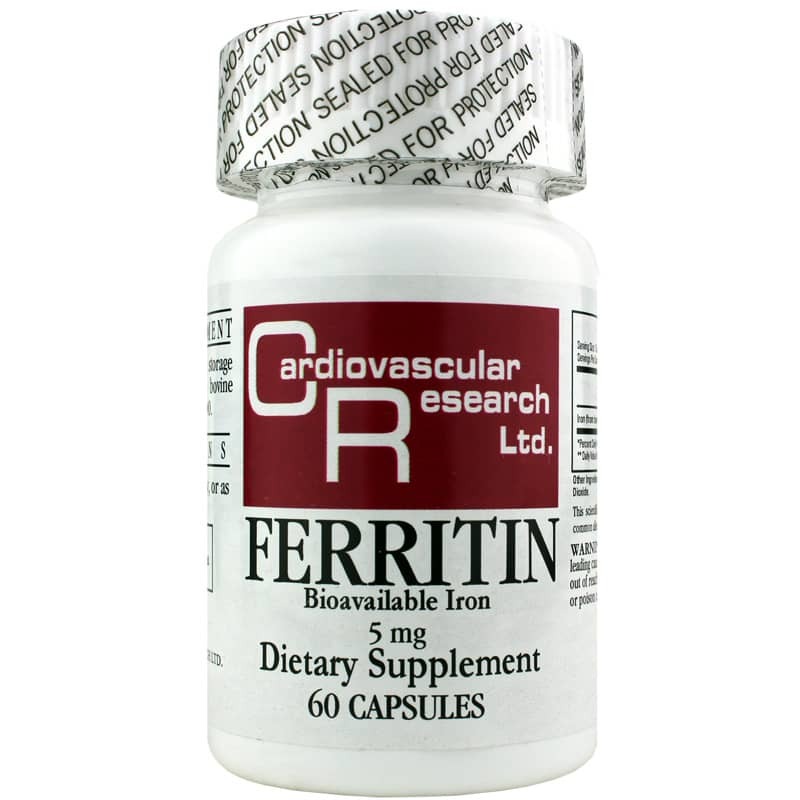 Try Ferritin from Cardiovascular Research for iron support. Other Ingredients: Cellulose, Gelatin, Magnesium Stearate, Silicon Dioxide. Contains NO: gluten, casein, corn, soy, yeast, wheat and other common allergens. Adults: Take 1 or 2 capsules daily or as directed by a physician.